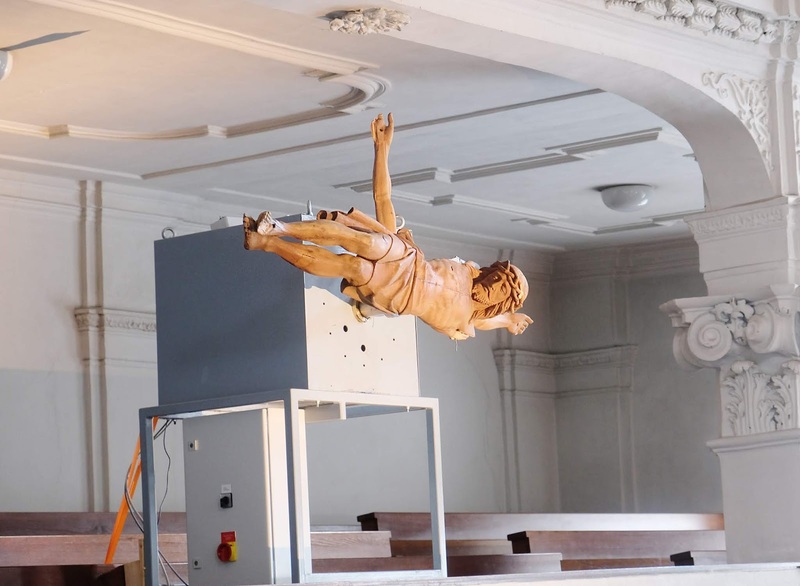 In addition to permitting a scaffolding hung with the inscription, “So long as God wears a beard, I will be a feminist,” in the city’s cathedral, Innsbrucker Bishop Hermann Glettler (EN/DE) has also allowed artist Manfred Erjautz to install a salvaged wooden crucifix in the sanctuary of the Spitalskirche whose broken arms tell the time. “Your Personal Jesus” will be on display throughout Lent for comtemplation. More to explore at the links above.